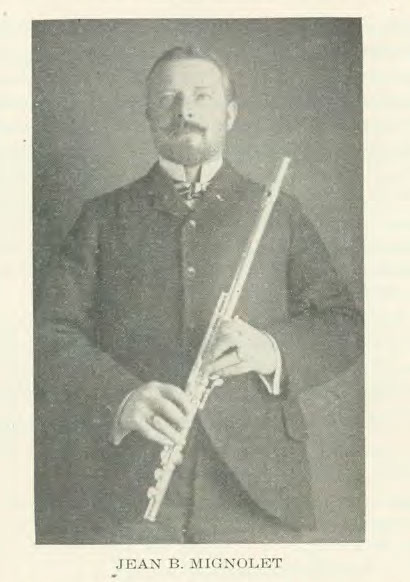 The flute is now fully restored. Pitch seems around 440 pushed in. It will probably play either at 435 or 440. The fact that it was sent specifically to the US might account for the A=440 pitch. Condition is quite excellent. 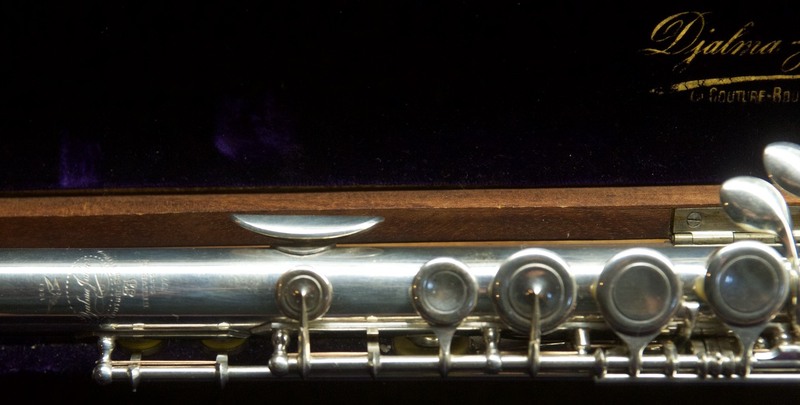 This flute also has a very beautiful original walnut case. 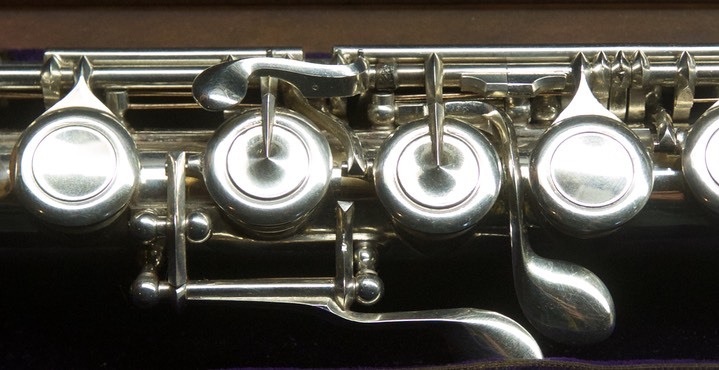 Because of the lengthened tenon Julliot's flutes don’t fit a standard case. This original case is particularly nice. Pitch A=440 - this flute plays very well for me at A=440. It was made for the American market and sold through Mignolet, Juliot’s American agent. 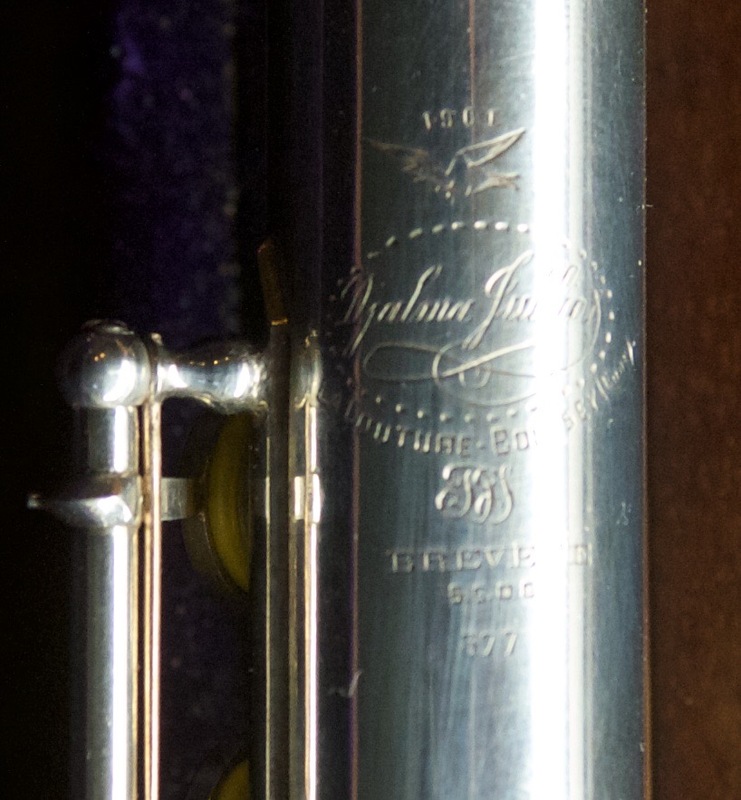 It is a bit low on the low D and C because it is possibly scaled lower but the tuning is original.